15th Anniversary Edition Available for Pre-Order! 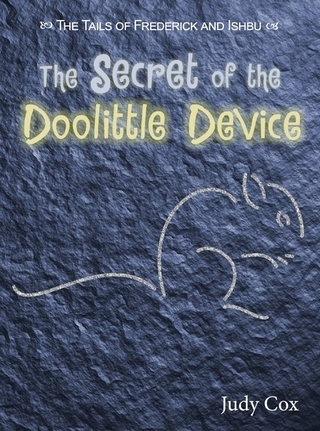 Now available on Kindle and Kindle app! Back to school with Mrs. Millie! Great book for back to school! Happy Birthday, Mrs. Millie! now available. Clarissa can't sleep. 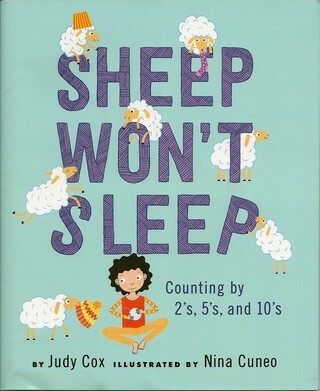 She tries counting sheep, but it doesn't help--especially when the sheep won't settle down! She tries counting other woolly animals by twos, fives, and tens. Soon colorful alpacas, lamas, and yaks fill her room. Will she ever be able to get rid of them and fall asleep? 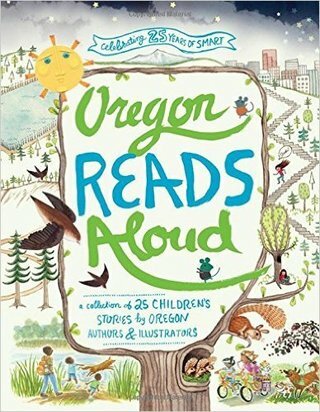 Celebrate reading and the state of Oregon with these 25 short stories by Oregon children's authors. 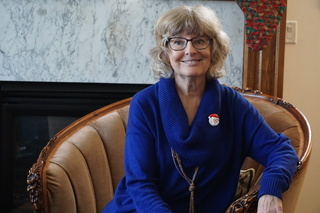 I'm thrilled to be a part of this wonderful project, celebrating 25 years of Start Making A Reader Today (SMART), a non-profit program to enhance literacy by matching volunteers with children. 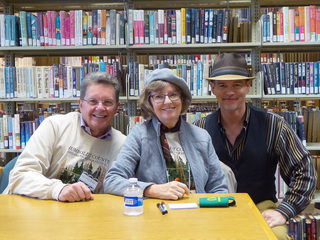 My story, "Serafina's Tree", includes a recipe for plum jam! Hooray! It's a snow day. The family is baking cookies, and Mouse gets showered with yummy crumbs. But the real adventure begins when he accidentally gets swept out the door with the snow Dad has tracked into the house. Mouse is in for a wild winter wonderland romp with Cat close on his tail! A delicious smell wakes up Mouse. He follows his nose down the street to a Cindo de Mayo festival. High up in a tree he spies a pinata magnifica. If only Mouse could get just one piece of candy from it. But look out! Cat is on the prowl. 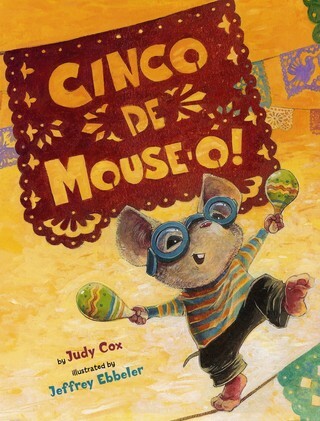 He is planning a fiesta of his own, and Mouse is on the menu. Also available as an Audio book from Dreamscape Media! Everyone has a talent, right? Hayley is sure she has one but she's having trouble pinpointing it. Then Hayley buys a ukulele at a yard sale. Learning to play takes practice, but it's fun, fun, fun. 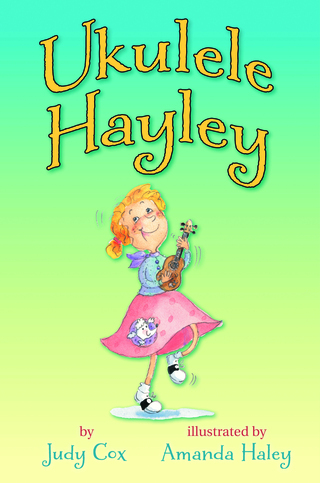 Before long Hayley is strumming up a storm, and her classmates want in on the action. Then terrible news threatens not only the new uke band, but the whole school music program. Now it's up to Hayley and her band to come up with a creative plan to keep their school rocking. Learn to play the G7 chord on the ukulele! 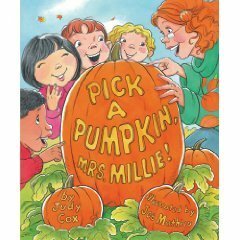 Mrs. Millie loves to tease her kindergartners. she tells them to wash their hands with soap and walrus, and sit on the bug for story time. 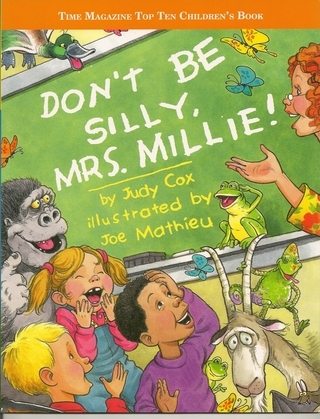 The children think Mrs. Millie is hilarious. They have fun correcting her "mistakes." Finally, at the end of the day, they get on the octopus to go home! When Frederick and Ishbu escape their cozy cage in Miss Dove's fifth grade classroom, they find themselves on the wildest adventure of their lives. 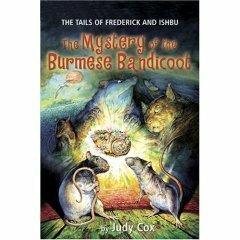 They follow the trail of the Burmese Bandicoot, a beautiful and mysterious statue, from the underworld lair of the Big Cheese to a tropical island that may not be the paradise it seems. "The action-packed story should readily hold readers' attention." "Fast-paced and suspenseful, this is solid entertainment for the middle-grade reader." 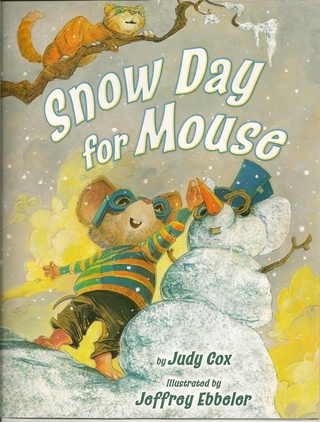 "Cox, a former elementary-school teacher, imbues the story with suspenseful action as well as interesting information about rat behavior, geography, and marine navigation." "The short, action-packed chapters, engaging illustrations, and author's conversational style will attract many readers. 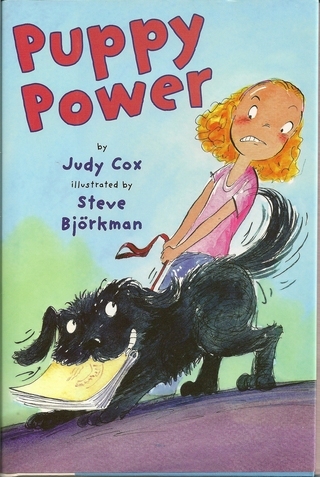 This book would serve as an entertaining read-aloud." Available at fine bookstores everywhere! Sour balls! Gumdrops! Chocolate! Mouse is stunned as he watches goblins and skeletons and ghosts collect candy. He wants to go trick-or-treating too, so when the little bitty ghost drops her sack, Mouse scrambles inside. Now he's in for a harrowing Halloween adventure! 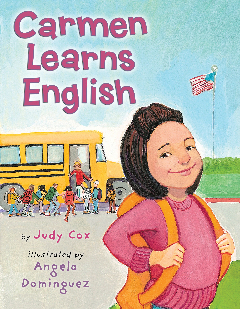 "The frustrations of starting school as the only Spanish-speaking student come through clearly in Cox's tale of a girl who slowly gets a handle on English with the help of a compassionate teacher." Poor Groundhog just can’t sleep. He tosses. He turns. Finally, he gets out of bed. Outside his burrow he finds amazing sights he’s never seen before: glowing jack-o’-lanterns, gobbling turkeys, and sparkling holiday lights. 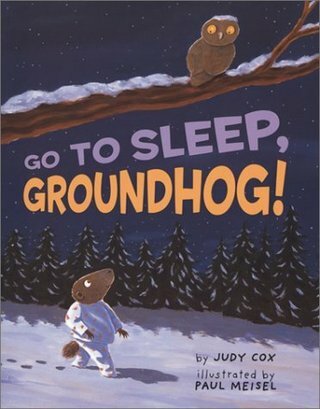 But shouldn’t Groundhog be in bed? Will he be awake for his big day? A perennial favorite for Groundhog Day. Frederick is the brave one. Ishbu is the hungry one. They are lured out of their peaceful existence in Miss Dove's cage when the beautiful Natasha implores them to help rescue her father, Professor Ratinsky. 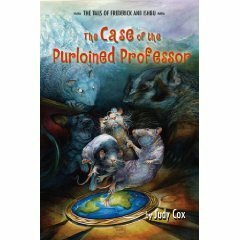 This time they travel from San Francisco to Scotland by private aeroplane, train, gondola--and meet such colorful characters as a secret clan of badgers, two vicious rat terriers, and a stuffy English show mouse. But can they save the Professor from their old nemesis--the Big Cheese? "This fast-paced story has lovable characters, humor, and unique plot twists. 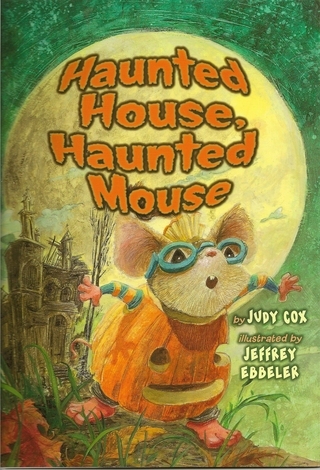 The author also does a great job of integrating facts about the history and cultures of the places the rats visit without intruding on the story. young readers will enjoy this high-flying, mountain-climbing adventure." "Hilariously convoluted and beguilingly suspenseful....The book has enough adventure and romance to attract both boys and girls, enough suspense to entertain unwilling readers like Ishbu, and enough information to involve nerds like Frederick." "Cox is at the top of her game. She does it all in this gripping story: great characterizations, suspense, humor, fantastic dialogue (with believable foreign accents), action, and even a tidbit of romance. 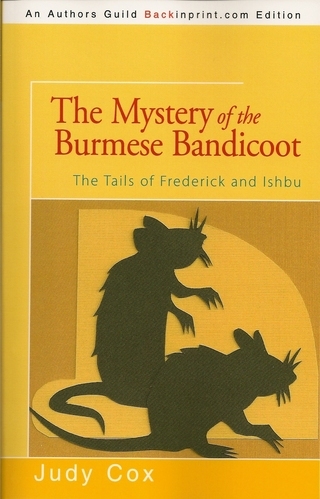 More tales of Frederick and Ishbu would be very welcomed." The Thanksgiving feast is over. Leftover turkey and pumpkin pie litter the table. Mouse peeps our of his hidey-hole and spots a small green pea, the perfect feast for one mouse. Yes, one green pea, one red cranberry, one plate of mashed potatoes, and one roasted turkey--that would make a very fine feast for Mouse. But can he get it all back to his mouse table? 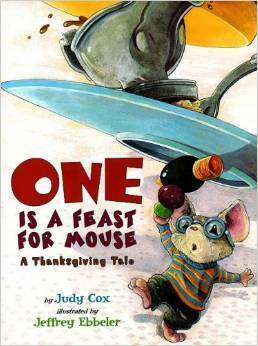 This warm and humorous picture book gently reminds us to give thanks for the little things. Make way for the boss of tetherball! Fran knows she's best at everything, so who cares if nobody wants to play with her? She has Hercules, her rowdy Newfoundland puppy. She's thrilled to receive the lead part in the school play--until her teacher warns her she'd better shape up. Even worse, her parents are at the end of their rope with Hercules. Will Fran be able to keep the leading role, and her puppy? "A light tone, clear writing, action, vivid descriptions, and realistic school and family scenarios earn this book a place on library shelves." Silly Mrs. Millie! She loves to use animal words when talking to her kindergarten class. 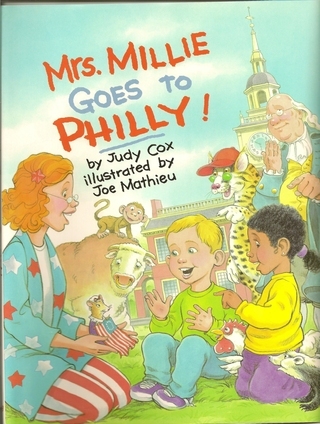 On a class trip to Philadelphia, the kids board a platypus, hold hens with their buddies, and visit the Liberty Bull. Outrageously funny illustrations by Joe Mathieu. 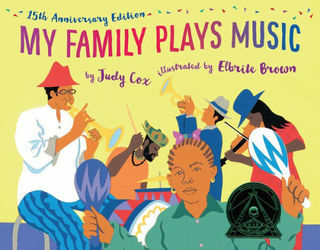 "A lively book which will appeal to many listeners..."
Featured on Picture Book of the Day website. Includes suggestions on how to use this book to teach the six traits of writing. Everyone in her family makes music. This spunky girl joins in! From jazz to rock ‘n’ roll to polkas, this young percussionist finds just the right beat for all kinds of music. Festive cut-paper art harmonizes perfectly with this soulful introduction to music. 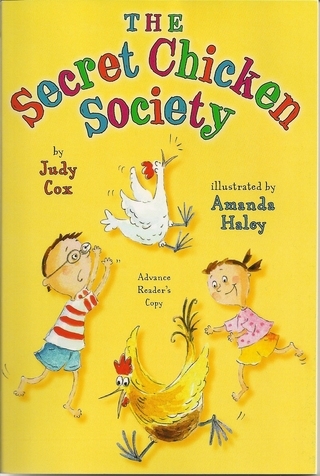 Nominated for a Chickadee Award from the Maine Children's Choice Picture Book Project. 2004-2005.